For more than 100 years, Angelo Brocato's has been the sweetest stop in New Orleans. : Angelo Brocato's has been serving New Orleans since the beginning of the 20th century, and only a few local restaurants have the staying power of this place. Despite having survived a couple of major hurricanes and undergoing several face lifts, the interior remains reminiscent of an old ice cream parlor. On the front door, a small brass plaque marks Katrina's waterline, the storm's only reminder. Ices, gelati and traditional Italian cookies reflect New Orleans' strong Sicilian heritage more palpably than perhaps any other establishment. Standard Italian ice flavors join such specialties as grapefruit, Louisiana strawberry and satsuma. 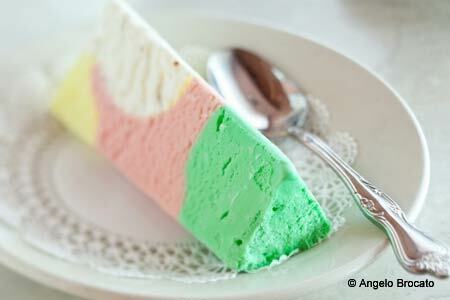 We like the ice cream fashioned from Italy's Baci hazelnut chocolate candy and the classic tri-color slices of spumoni. About that line outside the door: The wait is worth it, and you’ll always meet some interesting folks.